As a property management software distributor catering to the property management industry, we’re often asked: “What documents do we need to keep?”. This varies state to state; however, I’ve begun compiling a list of documents that landlords and property managers absolutely must keep; not just for the term of the tenancy, but beyond. Lease Agreements – Perhaps the most important document within your collection, this document defines the landlord / tenant relationship and is an absolute requirement to retain. Management Agreements – If your a property manager and have agreements to maintain properties on behalf of owners, these agreements are gold. Move-In Inspections – Whether this be a document with written down defects in the property, or a video or pictures of the condition of the property prior to tenant placement, this information is critical to keep safe for review when the tenant does move out. Applications – Generally your application provides you proof to run tenant screening on your prospective tenant. Retaining this permissions slip is important if there is ever a dispute. The application also serves various other uses including proof of non-discrimination, important information for collection efforts, and basic contact information on the tenant. 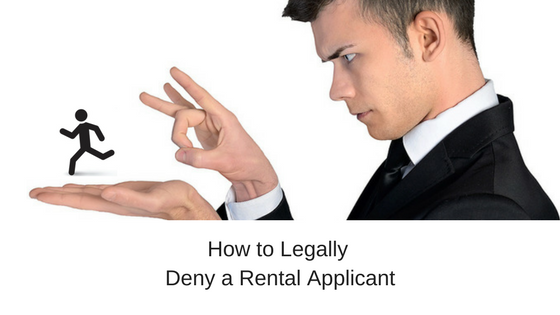 Other important documents: This list, while less common to store can become extremely valuable if you as a manager or landlord end up in litigation and need to prove your case. Written documentation – with the owner or tenant. This includes letters and emails. Be sure to either backup your emails or use the IMAP protocol (so the server is a backup) if you regularly use email for correspondence. Fax communication – Using an online fax service like efax has a two-fold benefit. First, it’s electronic so your not wasting a lot of paper and the faxes arrive electronically by email. Second, those electronic emails can easily be backed up for reference any time later. If you have a paper fax machine the best option to archive those is to scan the faxes and store them in PDF in a secure location. Voicemails – Most voicemails can be easily archived. If your already using a service like Google voice, you already recognize how easy it is to save and transcribe voicemails forever. Phone calls – This varies from state to state; however, Oregon for instance allows one-sided recordings of phone calls. This generally requires a phone system equipped to record inbound/outbound calls as most mobile devices do not contain support for recording live calls. Photos – Taking and keeping photos of the property pre and post tenant is very important to documenting damage. Photos can also be used as a tool when evicting a tenant. As a legitimate business there are *tons* of other documents to retain; however, I’m focusing specifically on the landlord/property management set of documents that first time landlords and property managers should be aware of. It’s Imperative to keep these records, but it’s equally important to make sure your documents are backed up and secure. Storing them on your workstation computer alone is insufficient because workstations die frequently. The average lifespan of most computers is 4-5 years, and many components (especially hard drives which store the actual data) die even faster. It’s important to backup this data offsite. Some property management applications, like Rentec Direct, provide this as a built-in service, and other options include online backup services (just Google “online backup”) or programs like dropbox. PreviousHow Secure is Your Multi Family or Commercial Property? NextHelp! I Need To Get This Property Rented, And Fast! Thank you for the helpful information, but how long are we required to keep the documents? Are there a certain number of years? Check your state laws for statute of limitations information. Most states require that property managers and landlords maintain copies of rental applications for 4-7 years. It’s always a good idea to financial records for seven years if not longer in case of a real estate or tax audit.